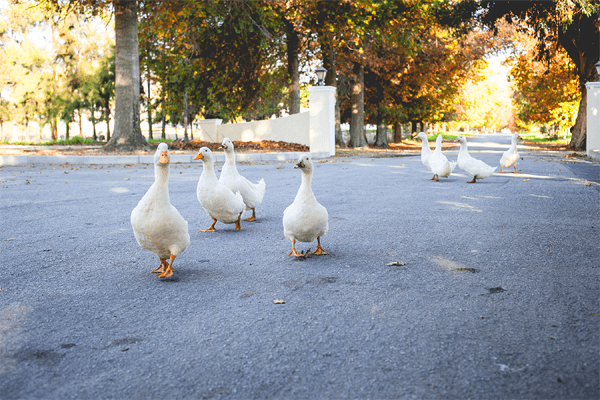 Situated some 120km from Cape Town, Tulbagh is the centre of one of South Africa’s oldest agricultural regions. 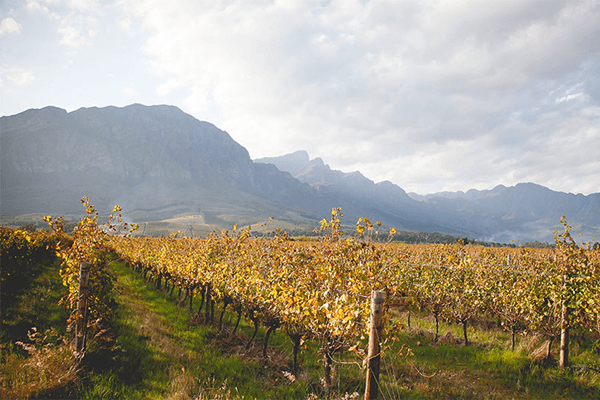 A haven with a temperate climate, the valley is girded by the lofty peaks of the Obiqua, Winterhoek and Witzenberg mountains, offering perfect slopes, protection and superb conditions for the vines of a wide variety of cultivars. According to history, three families settled in the picturesque Tulbagh valley in 1699. 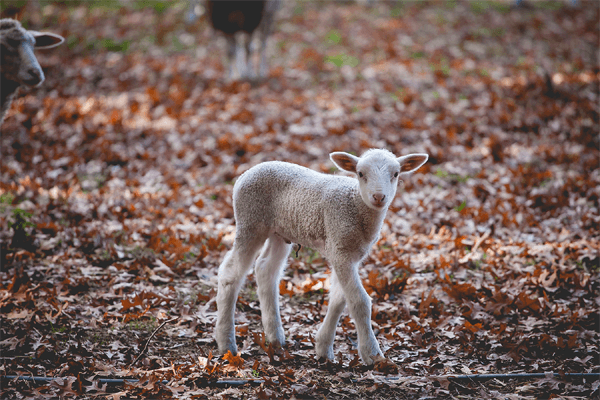 One of the families had a son named Theunis, who was granted land to the north of the village. 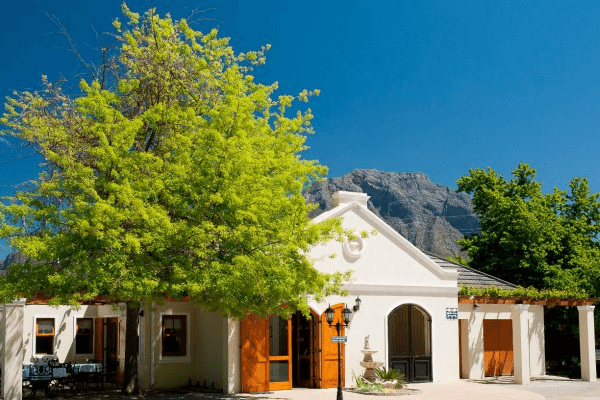 His property was originally named Theuniskuyl, but by 1785, when vines were already being cultivated there, the name had changed to Theuniskraal. In 1927 the widow Jordaan from De Doorns bought the farm for her two sons. The elder, Andries, farmed on Theuniskraal, while the younger, Harry, did so on Agenda, a portion of the original farm. 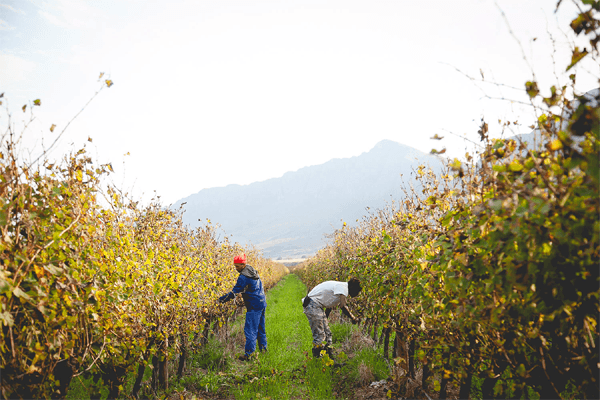 The private wine industry at that time was almost non-existent, but Andries was determined to make high quality wine. By the 1940s he was shipping respectable quantities of wine in bulk to London. Great wooden vats were sent out by sea from Europe to the Cape and then on to Tulbagh by rail where they were filled with wine and sent back the same way. 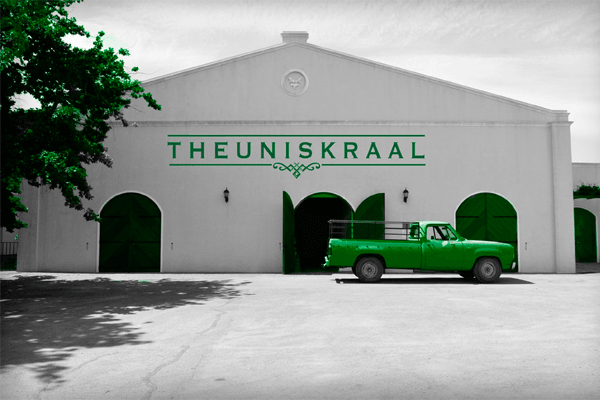 In addition to its popular Cape Riesling, the acclaimed Theuniskraal range further includes the Theuniskraal Sémillon/Chardonnay, an unwooded blend of Sémillon and Chardonnay; the Theuniskraal Bouquet Blanc, a sweet white blend of Gewürztraminer and Muscat de Frontignan; the Theuniskraal Rosé, a semi-sweet rosé made of Muscat Ottonel and Shiraz, and the Theuniskraal Prestige, a dry red blend of Cabernet Sauvignon, Shiraz and Ruby Cabernet. 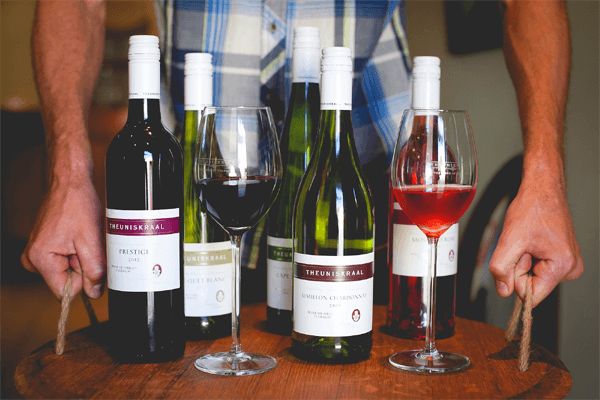 We also have a Theuniskraal Sauvignon Blanc, Theuniskraal Shiraz and Theuniskraal Cabernet Sauvignon. Nowadays the whole family works on Theuniskraal. 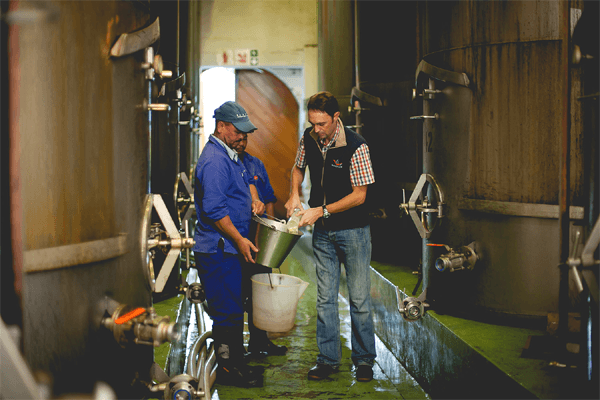 Andries, the eldest son of Rennie Jordaan, is the principal winemaker, while Rennie, now semi-retired, still provides very valuable input. The passing away in 2010 of Andries’ younger brother, Kobus, was a great shock for the family and a big loss for Theuniskraal. 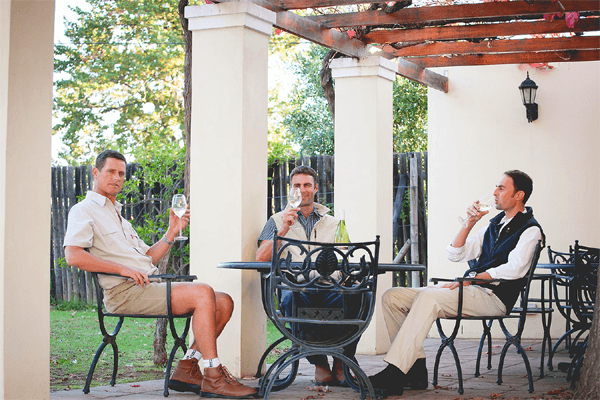 The family tradition continues, with Andries’ cousin Flippie as Theuniskraal’s viticulturist, and his brother Wagner assisting with both winemaking and viticulture. 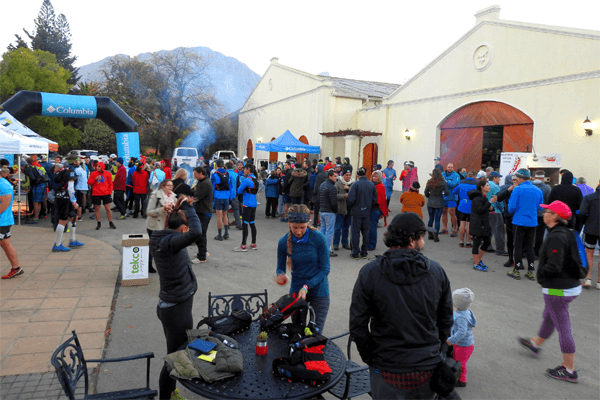 Theuniskraal is situated about 7km to the north of the village of Tulbagh, tucked into the Winterhoek Valley which is formed by the Witzenberg Mountains to the east, the Obiqua range to the west and the Winterhoek Mountains to the north.